As lavish and masterful as they are, cloud kingpins, AWS, Microsoft and Google, should stick with laying eggs instead of growing chickens when it comes to IT training…and I’ll tell you 5 burning reasons why. With Easter nearby and gorgeous chocolate eggs lasciviously catching my attention when I pass the chocolate boutique near my office, I get nostalgic about traditions and holidays. Yet, I sometimes wonder how this feast of chocolate and egg hunts came to be. Truth is, the symbolic meaning of Easter eggs is a bit far from and more symbolic than the festive activity of devouring delicious sweets that will soon spike my blood sugar levels. It’s a known fact that bunny rabbits are energetic, master breeders, usually giving birth to big litters of babies. Which cloud-learning solution should you use for your training? A guide to understanding the options open to you. As such, the legend of the Easter bunny was born, hundreds of years ago to be more exact. 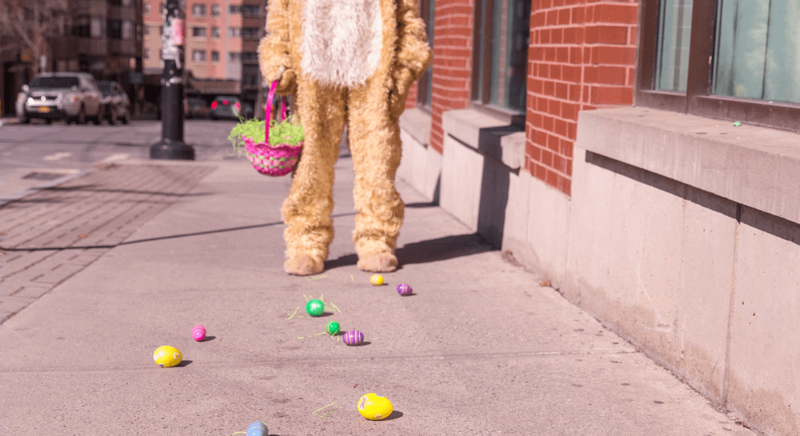 While the exact origin of the legend is a clouded mystery (no pun intended), the Easter bunny and its decorative eggs have become a well-known icon of new life during Easter Season. How does that connect to AWS, Microsoft and Google, you may ask? These “lavish companies”, with AWS leading the way, did bring new life to IT organizations with the cloud providing businesses the ability to provision resources rapidly, seemingly controlling costs, driving innovation and more. There is no doubt that these giants laid their eggs for the better of the industry…and with Alibaba gaining traction in the IaaS market – what a roll! That said, a recent article raised my interest. CNBC recently reported that Amazon.com, Inc. (NASDAQ:AMZN) is considering leveraging its cloud services business even further and building a service that would assist companies with training and learning initiatives. Great, I wonder…since when have giant brands succeeded in selling specialized products and services? These guys are the Costco of computer resources, but can they deliver what the market needs when it comes to specialized workflows? Easter bunnies should remain Easter bunnies no matter how “magical” they are but when it comes to specialty, they should not grow chickens. See? It’s becoming increasingly clear to enterprise leaders that leveraging virtual labs is a must and that to support global enterprise scalability, virtual labs should be cloud-based. With this, sales, training, and IT leaders must decide between using a commodity cloud provider or a specialized cloud provider for virtual labs. Virtual labs can be architected, deployed, and managed on both types of clouds and they both have a global reach, with data centers all over the world. Commodity cloud providers may also offer seemingly lower prices for the same infrastructure on which enterprises plan to run their labs. However, commodity cloud providers offer a basic infrastructure and don’t utilize a higher-level platform to support specific use cases. This leaves users with the responsibility of customizing the commodity cloud infrastructure to their specific needs and building support and management tools from scratch. Not only that, but ease of use is too often underrated. Therefore, in addition to the actual infrastructure, decision-makers should consider other aspects that have a direct effect on the performance and management of the virtual labs, as well as on their TCO. And, when it comes to that, there are a few facts we cannot disregard. Commodity cloud providers have never run a virtual classroom. Specialized providers know from years in the field that a classroom should provide the same instructor-student experience as the best physical classroom. Full customization of student experience including logos, materials, surveys, etc. When comparing the costs of virtual lab underlying infrastructure, it is important to understand the concept of cloud pricing. On-demand pricing means that users pay per hour of virtual machine use. This often leads to unexpected cloud costs and “bill shock” due to idle environments that are left on during nights or weekends, or that are simply forgotten. This is especially relevant in virtual lab scenarios, where infrastructure does not run continuously, with environments being brought up and taken down for durations of a few hours. To mitigate the financial effect of idle environments, specialized virtual lab cloud providers offer a built-in auto-suspend mechanism which detects environments not being used and shuts them down to avoid unnecessary billing. In many cases, carrying out training requires creating an exact copy of an IT environment. A major challenge in creating these copies is obtaining the same networking architectures and configurations as the customer. Commodity cloud providers don’t support many complex networking features, limiting the extent to which complex networking topologies can be accurately replicated. This means that enterprise customers with on-premise applications that employ highly complex networking architectures (e.g. promiscuous mode), cannot be directly implemented “as is” on commodity cloud infrastructure. Running a global business also means that environments run in parallel in different places. For example, in remote technical training, all student environments must be consistent with each other and available for immediate updates at the same time. However, maintaining exact copies of environments in different data centers and regions is a highly complex process when done with a commodity cloud, requiring many hours of work by IT personnel who must configure and maintain the templates. Another significant challenge facing global enterprises is the language barrier. The content of training environments should be localized and understandable wherever students are located. Ensuring that your training environment is available in multiple languages and maintained with up-to-date translations can be complex. Yet, commodity cloud providers leave this to the users, creating budget overheads and consuming the IT department’s valuable time. Sometimes all it takes is one chicken. A press report suggests that Amazon Web Services sees ready-to-use services, rather than raw computing and storage resources for roll-your-own application development, as vehicles for maintaining the rapid growth of its cloud and keeping its lead ahead of the likes of Google and Microsoft. However, the general assumption is that AWS will develop its own training capabilities in-house. Having said that, will commodity cloud vendors be able to provide fully optimized IT training at all without specialized solutions and experience? After all, the history of global brands shows a meaningful numbers of giants who tried selling specialized products and services and flat-out failed. Who remembers Colgate trying to sell packaged meals or Disney’s Hannah Montana’s cherries? Or, Amazon itself getting burnt with its own Fire Phone? Sometimes, you should not count your chickens before they are hatched, and you definitely don’t want to find yourself walking on egg shells.